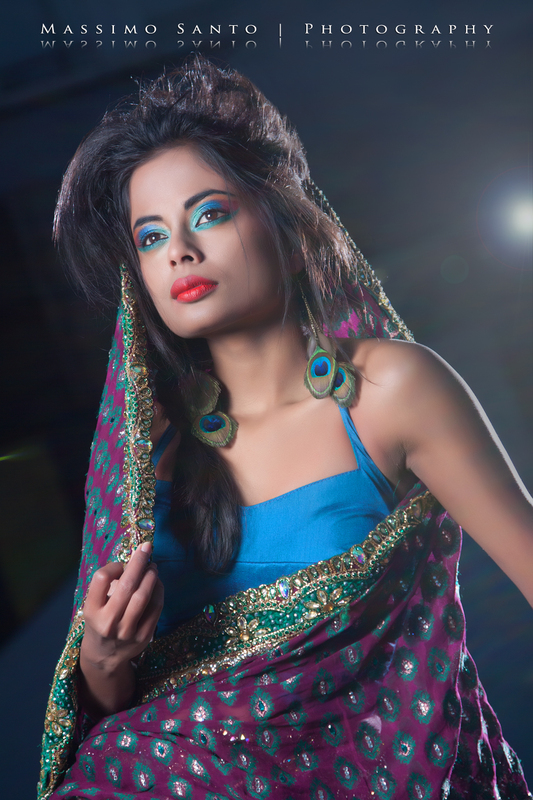 Melani is a wonderful model originating from Sri Lanka and currently based in Milan. We met on the internet and we together planned a shooting aiming at merging a modern urban environment and traditional Indian elements. In this set Melani dresses a Sari, the typical women dress of indian tradition. The make up, clearly recalling the Sari colors, was realized by Elena Salvi, a talented italian MUA and a very sweet person. We realized the shooting in a cold and uncomfortable (especially for Melani) evening. So we had to complete the job in few minutes. Mauro and (as usual) Grazia supported us. I'm very happy for these unusual images and colors and I really appreciated the cooperation with the staff. Copyright © 2013 Massimo Santo | Photography All rights reserved.